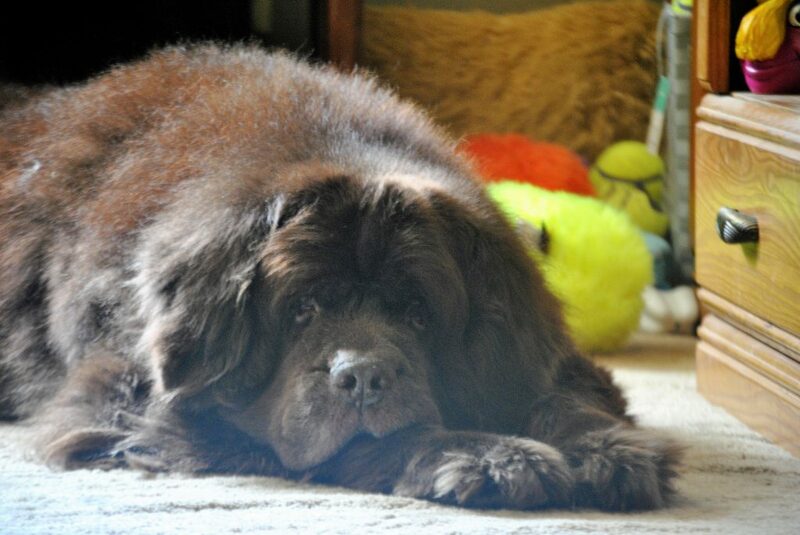 With the recent release from the FDA that they are investigating a possible link between grain-free foods and canine heart disease, the Newfoundland breed has been mentioned in several of the articles of reference. Many Newfoundland owners are panicking a little bit this so I thought it would be a good time to look at taurine and the Newfoundland. 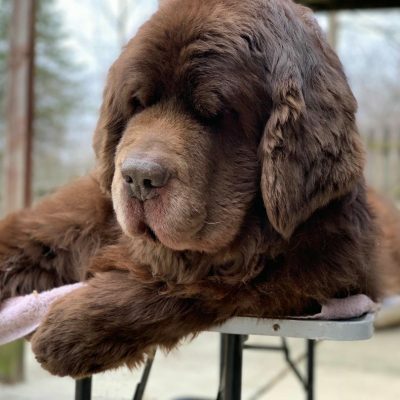 Before we get started it’s important to mention that the Newfoundland has long been known as a breed that may require taurine supplementation to avoid a deficiency , along with Great Danes, Boxers, Irish Wolfhounds, Saint Bernards, Doberman Pinschers and most recently Golden Retrievers. Also, I am not a veterinarian and the information in this post is not meant to replace advice from a veterinarian. The purpose of this post is to provide you with links to information in regards to recent claims about the lack of taurine in grain-free dog foods and the possible link to DCM. Taurine is an amino acid that dogs synthesize from the sulfur amino acids cysteine and methionine. Taurine has many functions, but there are two functions that are important for the role it plays with the heart and its presence as a component of bile acids, which is needed for fat digestion. Taurine is distributed throughout the body with high concentrations in certain tissues including heart wall muscles, in the retina of the eye, and brain. Certain breeds, such as the Newfoundand are predisposed to taurine deficiency because they don’t distribute it properly. When an animal can not make taurine themselves it should be derived from their diet. Taurine can be found in meat, poultry, eggs, dairy and fish. It is not present in vegetarian protein sources such as grains, legumes or carbohydrates. Lack of taurine in the diet causes serious eye and heart diseases to develop, such as dilated cardiomyopathy, which is a common heart condition seen in the Newfoundland. Cystinuria, another genetic disease found in the Newfoundland, can interfere with the absorption of amino acids. There is no specific signs of taurine deficiency in dogs rather it is symptoms of DCM that usually appear. Dilated cardiomyopathy (DCM) is a disease of the heart muscle that results in weakened contractions and poor pumping ability. As the disease progresses the heart chambers become enlarged, one or more valves may leak, and signs of congestive heart failure develop. The cause of DCM is unclear in most cases, but certain breeds appear to have an inherited predisposition. Large breeds of dogs are most often affected, although DCM also occurs in some smaller breeds. In 2003, researchers reported that some Newfoundland dogs had reversible DCM associated with taurine deficiency, and in 2005, another team published a report on a family of golden retrievers with taurine-deficiency and reversible DCM. 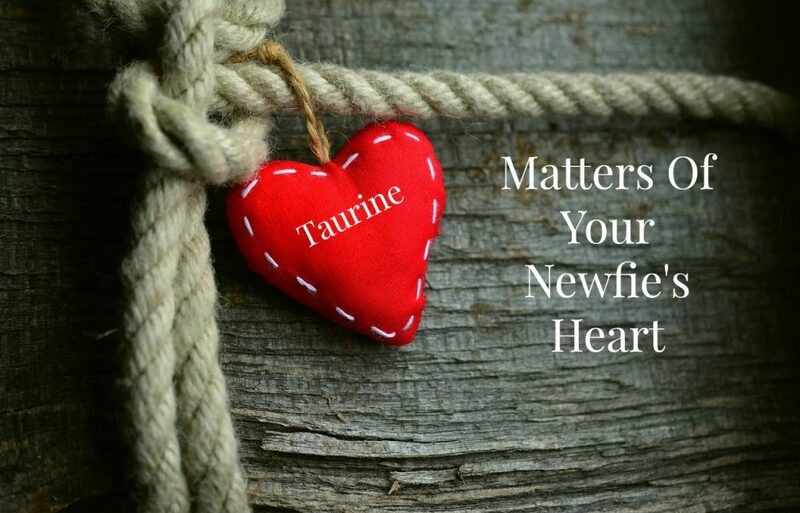 Based on these reports, veterinary cardiologists recommended that taurine levels be tested in dogs diagnosed with cardiomyopathy, particularly if they were a breed not usually associated with the disease, or were an American cocker spaniel, Newfoundland or golden retriever. 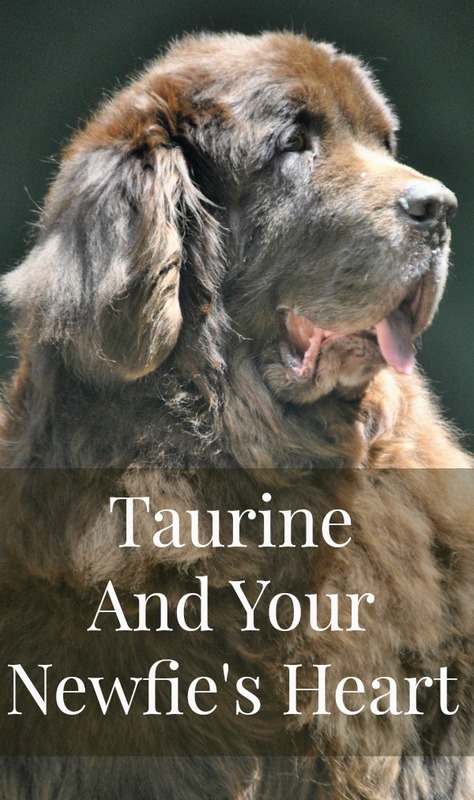 In 2003 Dr. Backus found diet-associated taurine deficiency and cardiac insufficiency in more than half of a group of 21 privately owned Newfoundland dogs, which excreted extraordinary amounts of taurine in their urine. In 2006 Dr. Backus studied Low Plasma Taurine Concentration in Newfoundland Dogs is Associated with Low Plasma Methionine and Cyst(e)ine Concentrations and Low Taurine Synthesis. 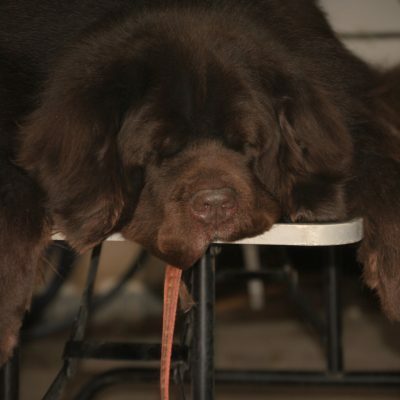 Backus and his team compared 216 Newfoundlands to Beagles. Dogs with low plasma taurine were older, less active, had more medical problems. The findings in this study support the theory that taurine deficiency in dogs may be related to the consumption of certain dietary ingredients. Scientific and clinical evidence supports the hypothesis that dilated cardiomyopathy is associated with low blood taurine concentration in dogs. But taurine isn’t found in grains so what’s the big deal? The most common places that you can find taurine is in meat and shellfish. Taurine is not found in grains and legumes. The concern is that some pet foods may be made up of more plant proteins than animal proteins which may be causing the taurine deficiency. If you’re thinking that you’re good to go because meat is listed as the first ingredient in the food therefore it contains mostly meat, think again. If the dog food you’re feeding has meat as the first ingredient and then lists a whole bunch of legumes and carbohydrates, the food is mostly made up of that. But the protein is high so it must have enough meat, right? Protein can be listed as a combination of animal protein and plant-based protein on your dog food bag. So legumes are bad for dogs? No. Legumes such as peas, beans, lentils, chickpeas, soybeans, and even peanuts are not bad for dogs but they shouldn’t make up the majority of the dog’s diet. So it’s the dog food manufacturers fault. Not really, although they are the easiest to blame. Dog food manufacturers aren’t required to list or even have taurine in their food because it’s not an essential amino acid and so they don’t have to meet an AFFCO minimum requirement. Most dogs don’t need taurine in their food because they make enough of it so dog food companies make food for the majority and not for the few breeds that are known to be taurine deficient. It’s not just kibble fed dogs that are affected, studies have shown that it’s also dogs that are fed a home-cooked or raw diet can have a taurine deficiency too. Taurine can be lost during the processing and/or cooking part. Kibble that contains taurine but is cooked at too high of temperature may lose a majority of the taurine. Home-cooked foods, may lose some taurine when being cooked. Raw food may lose taurine if frozen too long. Plus, how a food is stored also come into play. It’s speculated that the greatest loss of taurine is in baking and boiling. Yes. As mentioned earlier, if a dog can not make taurine themselves it should be derived from their diet. There are also taurine supplements available for dogs but it’s always recommended that you speak to your veterinarian before adding anything new to their diet. Many cardio supplements contain taurine also. If you would like to get started on researching foods that contain taurine, UC Davis has compiled a great list. What should you do about feeding a grain-free diet? The FDA has not said that you should stop feeding grain-free foods to your dog. The statement is drawing attention to an area that needs further investigating. It is not known how peas, lentils, potatoes, starch and fiber derivatives early in the ingredient list are linked to cases of DCM. The FDA has seen a trend and now they need to do more investigating and research which could take years. Diets in cases reported to the FDA frequently list potatoes or multiple legumes such as peas, lentils, other “pulses” (seeds of legumes), and their protein, starch and fiber derivatives early in the ingredient list, indicating that they are main ingredients. Early reports from the veterinary cardiology community indicate that the dogs consistently ate these foods as their primary source of nutrition for time periods ranging from months to years. High levels of legumes or potatoes appear to be more common in diets labeled as “grain-free,” but it is not yet known how these ingredients are linked to cases of DCM. The FDA continues to work with board certified veterinary cardiologists and veterinary nutritionists to better understand the clinical presentation of these dogs. The agency has also been in contact with pet food manufacturers to discuss these reports and to help further the investigation. If you are concerned, you should talk to your veterinarian and you can ask for a blood test that will measure taurine levels BEFORE you change foods. The FDA encourages veterinarians and pet owners to report cases of dilated cardiomyopathy in dogs suspected of having a link to diet by using the electronic Safety Reporting Portal or calling their state’s FDA Consumer Complaint Coordinators. I think this is another great reminder that all dogs are different. What works well for one may not work well for another yet we continue to feed foods that are made for ALL dogs and expect them to be fine. We fall for words such as “biologically appropriate” and for many dogs this may be true, but for breeds that are known for cardiovascular issues, or breeds that have been documented to have a predisposition to developing a taurine deficiency like Newfoundlands, it’s not hard to believe that these dogs are not getting the diet that they need for optimal health. Yes, taurine is important, but it’s not more important today than it was 20 years ago. p.s. Some dog foods do contain taurine. The food I feed Sherman has taurine listed on the ingredient list but don’t forget, we don’t know how much there is or if it survived the processing/cooking part so telling dog owners that they are good if taurine is listed on their dog food isn’t exactly true. There’s still a lot left to learn. Thank you, Jen, for an informative and non-partisan article – as always – about taurine, grain-free dog foods, and DCM links. It is always refreshing to read an article that the average dog owner can read without going into a state of near (if not full) panic. 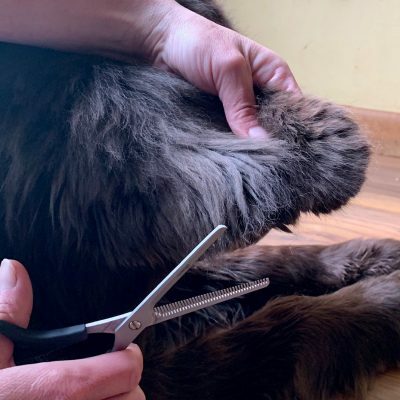 I’m not worried about Shadow – even though she’s a Golden Retriever – because she’s been through so many exams including CBCs, ultrasounds, etc., these last two years (since her liver enzymes first started rising). Her heart is in good shape, especially for a Golden her age.